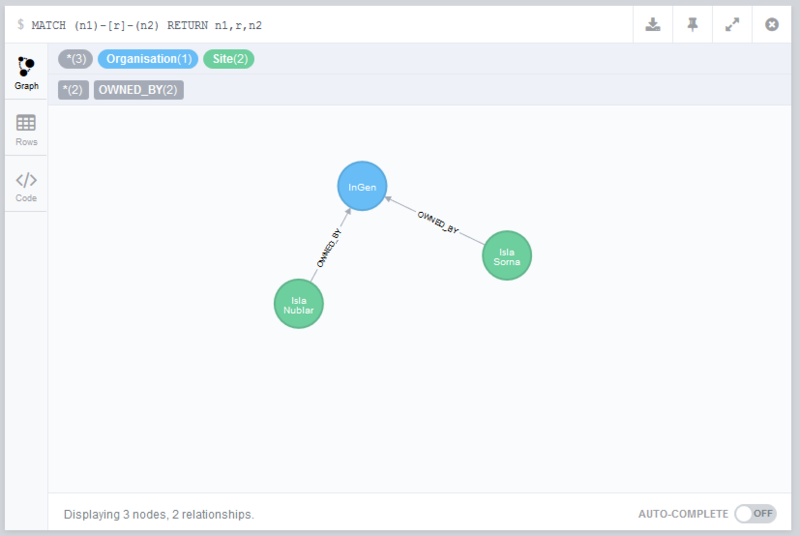 Neo4J is a fully featured open source graph database built atop the JVM offering full ACID compliance. What sets it apart is the excellent tooling provided by Neo Technology, including a web UI for visualising queries, great windows support and, perhaps my favourite part, the Cypher query language. Each node can have N directed relationships to other nodes storing how each element is associated with the others. 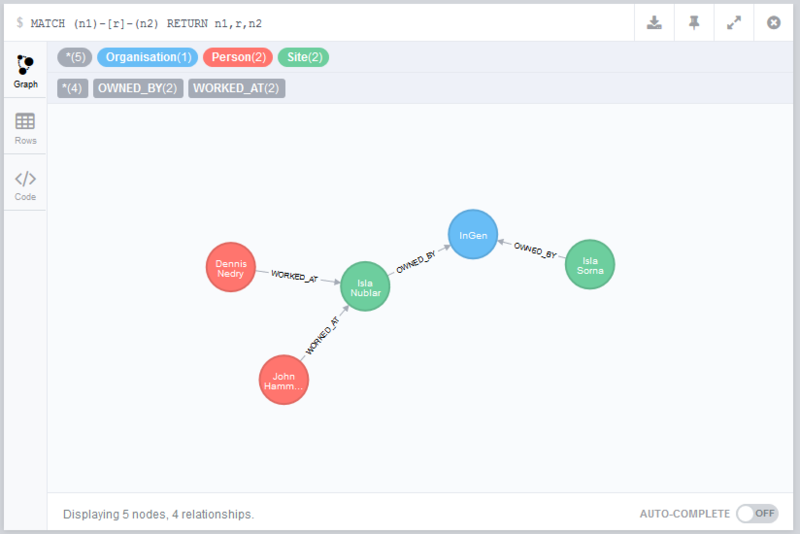 Neo4J’s strength lies in it’s loose structure allowing for complex relationships lending themselves to rapid analysis. Once you’ve set up your graph database actually querying the data is highly logical due to the graphical format of the Cypher language we’ll explore later. Firstly we need to download the Neo4J server; there is a free community edition available here. 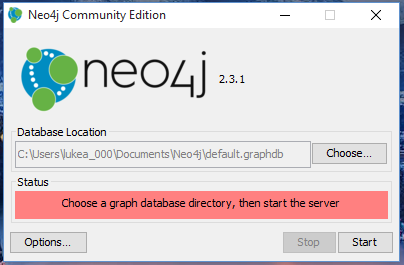 Run the executable to install Neo4J on your local machine, once finished you will get the server start up prompt pointing the database and asking you to start the server. Clicking Start will launch the background service, upon finishing you can go to http://localhost:7474 (default port) to access the Neo4J UI. On loading the UI you’ll be asked to give a user name and password (the default will be shown), follow the instructions then we’re ready to start cooking. There’s plenty of great client libraries for Neo4J here (including .Net, Java, Python, Ruby and more) however the UI has everything we need to get started for now. 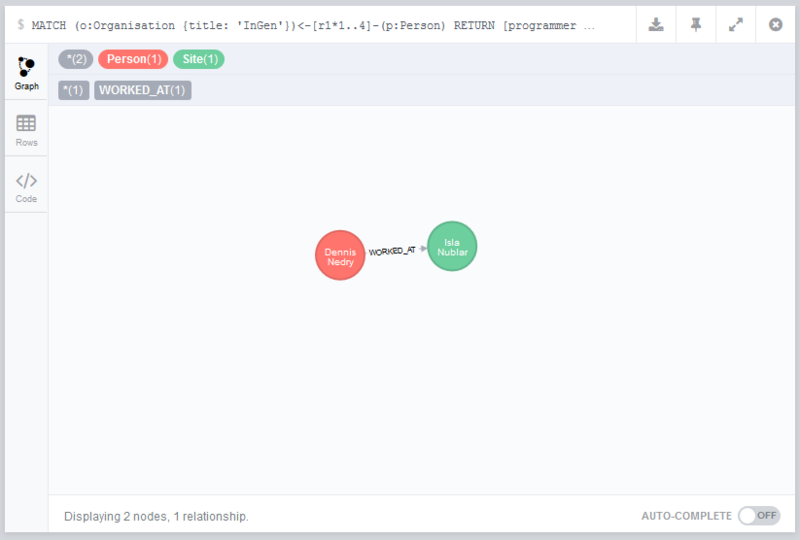 The bar at the top of the screen with $ and a blinking cursor allows you to enter Cypher queries for populating and retrieving data from Neo4J. If you click on the nodes you will see a list of their contained properties on the bottom of the screen. Starting to look a little more exciting. Let’s add some more nodes and relationships now. So now we’ve mapped our totally not based on Jurassic Park organisation, how can we query this data meaningfully? 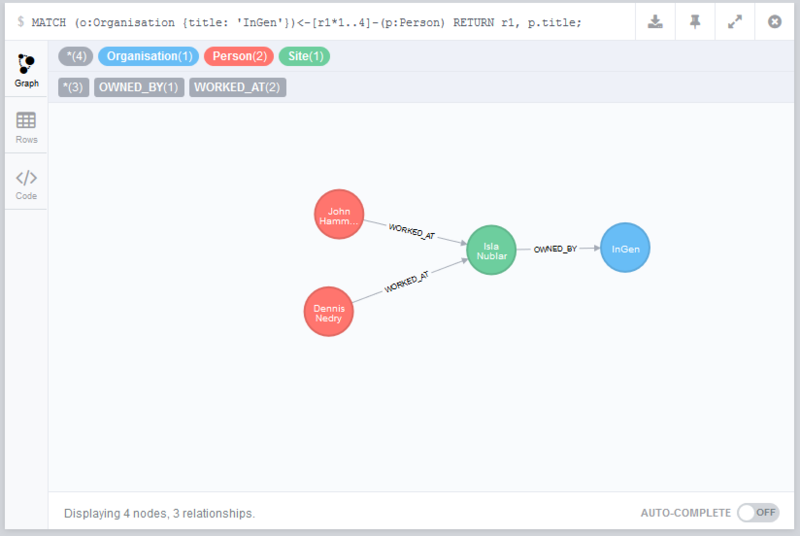 So far we’ve been using the Neo4J UI to see the graph, but if we wanted to answer questions for users we can also output tabular data. 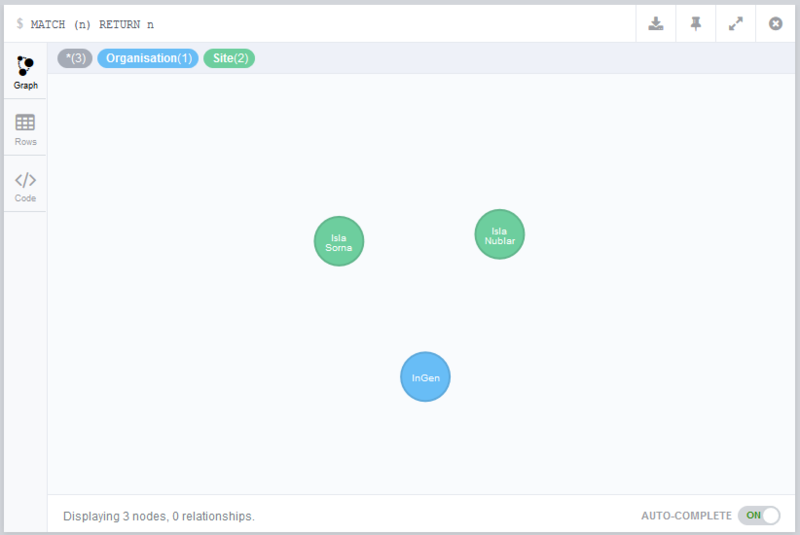 So far we’ve explicitly requested relationships in our queries, however what if we didn’t care what was between the organisation node and person node and instead wanted to hop over however many nodes to find the implicit relationship? 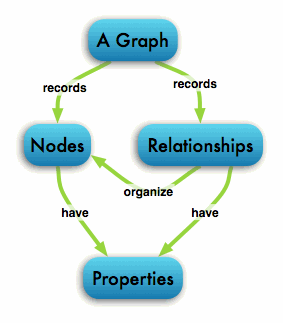 That’s it for the Neo4J introduction, leave a comment if you found this useful or having any questions!